BHR Hollywood Reports.....The talented singer is an emotional wreck right now as she mourns the loss of her beloved grandmother, Addie Collins. 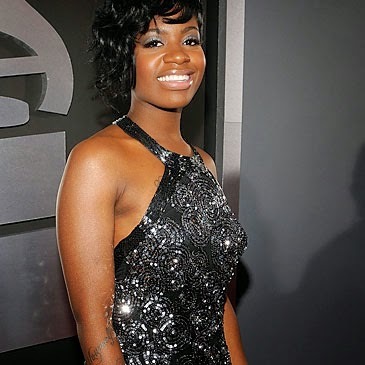 Her granny, who was also a pastor at the church Fantasia grew up singing in, passed away on April 1st at age 74. Since the passing, Fanny has taken to Instagram to grieve, while also hinting that her marriage has fallen apart and her music career is at a standstill. It is done….The kids and I will always love you [heart emoji]. I gotta stay strong for Granny…he was the best man I knew. Kendall, you are loved. Grandma i gotta go back home. .. i don’t want ta leave.. im alone now Granny [emoji heart] come to my dream and tell me what to do. The label, my album my love GONE. TALK TO ME granny. I sleep just to see if you’ll come. While RCA Records denies they dropped her from their roster, it’s still pretty heartbreaking to lose your grandmother and have your marriage end at the same time. Our condolences to her and her family.